The Six Goddesses smile upon you all, and welcome to the June 2016 Newsletter! In the past month there have been some very nice gains for DasWyrd as our projects move forward. We have officially crossed the 3,000 follower threshold on our twitter account and well over 2,000 likes on Facebook. Our presence in other areas is slowly growing with our Tumblr. Things have slowly fell into a rhythm, but we are in some ways in an evolutionary stage right now. Part of this evolution will be how we handle our widening band of social channels, and how we connect with our growing community of fans overall. Here are the major content updates we featured in the previous month! 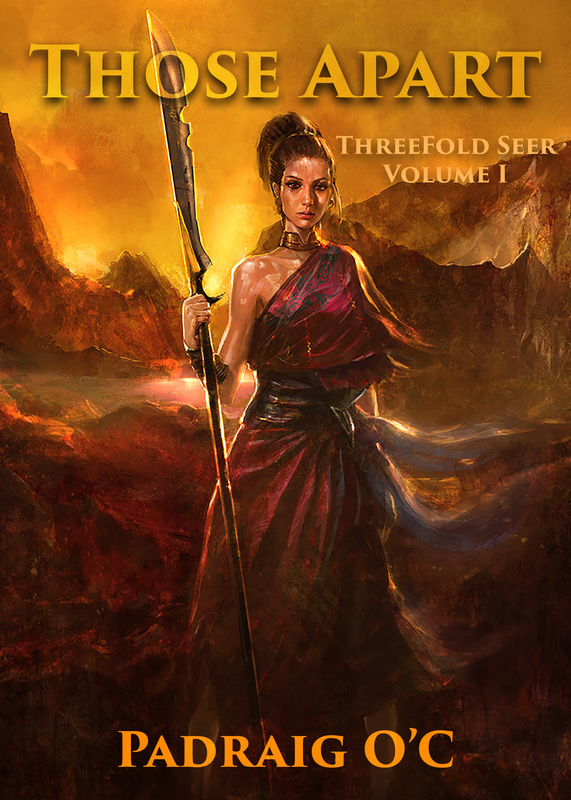 Threefold Seer Overview – A basic overview of the when, why and where behind our debut franchise, Threefold Seer. DasVlog Episode 1: Gender Identity – Our first vlog discusses gender identity and why I write gender diverse identities into my novels. What the Sierd are Avalonic Mecha? Part 2 – Learn more about the internal mechanism and the engineering behind them. Walk the Crossroads | Episode 23: LiTS Roll System – Learn about our initial works on the skill and dice rolling system for the Land in the Stars RPG. The weekend leading up to this months newsletter, June 3rd through June 5th is the first of our “Lore Weekends” a time set aside for me to write and work on lore for one of our current projects. Previously on Tumblr I posted about my work on the Conlang, Crescent Tongue, for the Threefold Seer book series. This month I wanted to change things up and work on the lore behind one of the more grandiose projects I’ve undertaken for DasWyrd, Land in the Stars. For those just coming to the conversation, LiTS, (Lihts) as we call it, is the large scale mega-project I started well over two years ago. The lore itself is vast and increasing in size. Land in the Stars has its own category on our site dedicated to the blogs we posted on it. LiTS dates back to 2014 when I worked as a security guard, and wanted to write Space Opera to pass the time. Last year I spent a lot of my time expanding and working through the lore for the game itself. After starting the work on my degree this current year, I’ve had little time to complete lore writing for LiTS. This weekend however is a break, and thus I’ve started mentally sketching out and putting some thoughts down on the complex concepts of magic for the world. Part of this will include a lot of random research, and mulling over random ideas that won’t go anywhere. My goal is to complete a major chunk of the lore itself and set the stage for further work to be done in the months to come. The current primary focus of lore is the expansion and mechanical completion of the core “Techno magic” or “Psionic” powers available to certain characters in the LiTS universe. The Kickstarter is being moved to October to occur a month before our planned release. We still plan to launch our book in November and we should have a publication date in the coming months! Draft 7 of the book is complete and it is currently off for final editing. Most of the art materials are completed, but we are still waiting on two last commissions. After so much work, coordination, and research I think its time we unveil the official cover for our ebook! Although we have not completed our designs yet for the paperback we are happy to see the ebook cover completed. Full credit goes to Lin Hsiang who we commissioned to do the beautiful art of our main character, Sik’anzi. Princess Sik’anzi of the Highlands, the Sky Seer. Plans are slowly being laid for our next big publishing project after the completion of Volume 1 of ThreeFold. Most likely it will be the next ThreeFold novel to help move our first major trilogy plan forward. However, there are several projects on our book list we could tackle. At the moment the consideration is going to fall down to the reception we receive on the first novel, and the support we gain from it. Eventually we’d like to move toward publishing more than one book a year and eventually possibly two. That will require an expanded staff and which means figuring out a few more problems. For now our next focus after the release of Threefold will be promotion of the novel and setting up our Print on Demand connections. There are plans to attend a few conventions and possibly even showcase the novel! Secondary supplements such as free PDFs on the languages of the Crescent, and the creation of an eventual presskit.